You may have heard that being able to laugh at yourself is an important life skill - and you would be right! In fact, if you live with a disability, it might even be one of the most important skills you can learn! When you exist outside of the norm in any capacity, you might feel self-conscious and worry about what others will think of you if you struggle to perform particular tasks; there may also be pressure to live up to the "typical" standards that are put in place by society. But what if I told you that you have the power to control your own narrative and influence the way people perceive you and your disability? Sound crazy? Not at all! As someone who has grown up on the autism spectrum, I know a thing or two about social blunders. In the past, I have been laughed at and teased for things that I couldn't help at the time, and for years my response was simply to try to be more "normal." I kept my head down and did my best to disguise the fact that I struggled with certain things – I barely spoke in group settings, I stayed within my comfort zone, and I refused to put myself out there. After all, what would people think of me if they knew the truth?? If they knew that I was on the spectrum?? If they knew I was a klutz… Okay, well, it was kind of hard to hide that, considering I was always tripping over my own feet. I guess I wasn't so great at that whole "normal" thing after all… Bummer. 1. "People fear what they don’t understand." It’s such a cliché, but it's true! Specifically, people tend to feel uncomfortable when they don't know how to respond to something that they don't understand. People like certainty and knowing what to expect (kind of like autistic people… would ya look at that! ), so when something unexpected or out-of-the-ordinary happens, they can react in a variety of ways: some may freeze and not know what to say, while others may lash out. However, how you frame it plays a big role – if you're able to turn a potentially awkward or embarrassing moment into something humorous, you're helping to lighten the mood and normalize the situation. You're saying, "Hey, I know I’m different, and yeah, what happened just now might have been a little strange – but you know what? That's okay! Disability doesn't have to be serious all the time!" By being able to laugh at yourself, you are leading by example and actively teaching people how to respond to your disability. If you react to embarrassing situations by bowing your head and quietly slinking off into the shadows, as I did for many years, people may not know how to react. When you're able to poke a little bit of fun at yourself, on the other hand, you exude confidence, and people will be drawn to that. 2. "Sticks and stones may break my bones…"
As I stated earlier, humor can be used to take control of your own narrative and influence how others see you. This can be done preemptively, or it can be done in response to comments made by other people. How you choose to approach the subject may vary from person to person, or even situation to situation. I personally use a combination of these two approaches. For example, a while back I was working with a partner in my biology lab, and I was struggling to tie the end off on a plastic bag that we were using as part of our assignment. Instead of sitting there all period, trying in vain to tie the stupid thing (as I would have done in the past out of sheer embarrassment), I turned to my partner, grinned, and made some off-hand comment about my poor fine motor skills. The result was immediate: she laughed and quickly came to my rescue, no questions asked! This helped diffuse the situation for both of us, as it saved me from feeling embarrassed for not being able to do something that people my age can typically do, and it saved her from having an awkward "hey… um… do you… um… need some help?" moment. This would be an example of a preemptive approach – creating a humorous moment out of your situation before other people have the chance to draw attention to it themselves and put a negative spin on it. Sometimes, though, people do try to take control of our narratives, resulting in bullying or discriminatory behavior. But this does not mean you have to let them run your life! 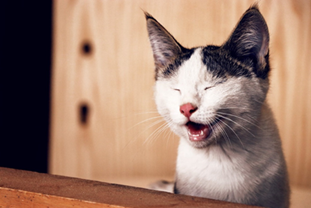 If someone makes a rude comment, flash them a grin and laugh along with them. You can follow this up with a witty comment, or by simply agreeing with whatever it is they said: "Yeah, you're right, it is really funny when I do that! I laugh at myself all the time!" This takes the power away from the bully and returns it to you, which will probably result in them losing interest. I missed a lot of milestones thanks to my disabilities… For instance, I couldn't read an analog clock until I was in fifth grade, and I couldn't tie my shoes until I was about thirteen. Even though I learned how to do these things eventually, there's still some stuff that just hasn't quite come. As I just told you, my fine motor skills are really not the best, and I'm still really, really clumsy. Similarly, even though my social skills are significantly better than they used to be, I still sometimes find myself in an awkward situation, and I probably will for the rest of my life. And you know what? That's totally okay! Instead of actively hating these things about myself and trying to hide them from other people, I choose to openly embrace them as a part of me and find humor in them. As a disabled person, you don't have to be able to do everything that your able-bodied or neurotypical counterparts can do, and there may be some things that just never quite stick. No big deal! The most important thing is that you know yourself, your limits, and what works for you. In fact, doing things a little differently can actually be an asset! There have even been times when people tell me that my way of approaching a problem or task actually makes more sense to them. Being able to look at issues from a unique perspective and come up with creative and innovative solutions is a skill that is often valued by both educators and employers, so don't sell yourself short – embrace your difference!